When a tooth is missing due to extraction, trauma, or disease, it is essential that Beverly Hills, CA area patients consider replacement options. Without replacing a missing tooth, patients can experience a variety of issues that may affect the health, appearance, and function of the smile. Dr. Sanda Moldovan and her team of professionals can determine if dental implants are a viable option. 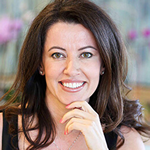 Dr. Sanda Moldovan is a committed dental professional who may encourage patients to consider the advantages dental implants provide. These titanium or ceramic posts are surgically placed into the bone of the jaw and act as tooth root replacements that offer a proper foundation for a dental crown, dental bridge, or full denture. Versatile – patients can use implants to stabilize dentures, anchor a bridge, or replace a single tooth with the use of a dental crown over the top. Effective – dental implants are stable, ensuring efficiency and effectiveness for eating and speaking. Long-lasting – with proper care, patients may enjoy their dental implants for a lifetime! 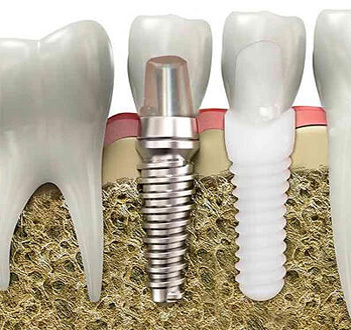 Durable – because the implant is surgically placed into the bone, it stimulates the process of osseointegration. This is the formation of bone around the implant which gives it its strength and durability. And implants don't get cavities ! Patients in Beverly Hills, CA and surrounding cities are welcome to contact the practice of Dr. Sanda Moldovan to schedule a consultation appointment to discuss the possibility of placing a dental implant for the replacement of one or more teeth. Her practice is located at 465 N Roxbury Drive #911 and can be reached by phone at (310) 651-6588. Why does a Beverly Hills dentist and periodontist offer zirconia dental implants?